Tom was (and still is) a preacher's kid, the kid who had to prove he was just as bad as his bad buddies. On occasion, he pushed his dad's buttons, the Rev. C.P. Tozer. Often on Sunday morning! Bad dude. Tom and his pal Larry messed around a lot in the church balcony during the worship service. They flipped paper wads over the balcony rail during the pastoral prayer. Sometimes small paper aircraft. Made crude noises. Drew unflattering — sometimes naughty — pencil sketches of Patty Winder along the margin of the church bulletin. While others prayed, they played. One Sunday morning, their stifled laughter caught the attention of the reverend. The boys didn't notice that the reverend had ceased preaching and was looking in their direction. Suddenly, a burst of thunder broke out in the sanctuary. The reverend's deep bass voice required no artificial amplification. "You two boys come down here and sit in the front pew," the voice of God commanded. You could hear an earring drop. It was an eerie silence, much quieter than silent meditation. Tom developed AFib right then and there. He and Larry tiptoed down the back stairs. Before they entered the sanctuary, Tom wiped off the sweat that ran down his nose. They opened the doors of the sanctuary and walked down the center aisle. Tom knew that life as he had known it was over. This was the dawn of a new era. It was called death. The church was silent as the boys neared the front. Tom felt every eye boring into his sweaty backside as he passed by each row of pews. Occasionally he detected a whisper or giggle. He looked straight ahead. When the boys reached the front pew and sat down, the reverend glared down at the young sinners momentarily, cleared his throat and commenced with his message. Tom sat there through the rest of the service wondering what would happen when he got home — after the reverend shed his clerical garb and became dad again. He looked up and spied Patty Winder sitting up in the choir loft, wearing that superior smirk on her face. If only he could trade places with her. After church, Perfect Patty would run home, eat lunch, go outside and play, watch "Lassie" on TV, make popcorn during "Ed Sullivan," then go to bed with a gentle goodnight kiss from her mom and dad. Tom, on the other hand, would never again eat his favorite foods, watch TV or see his parents smile. Oh, how he hated Patty. And Lassie. And Larry! It was all Larry's fault anyway. After church and when the family arrived home, Tom braced himself. He never heard another word about it. How could his dad be so cruel? Dad, sometimes the most effective discipline is doing nothing at all. 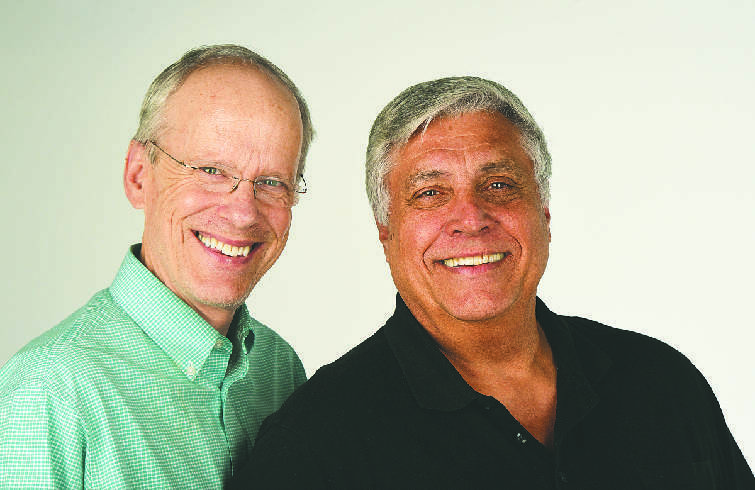 Tom Tozer and Bill Black are authors of "Dads2Dads: Tools for Raising Teenagers." Like them on Facebook and follow them on Twitter at Dads2Dadsllc. Contact them at tomandbill@Dads2Dadsllc.com.